Pressed sushi topped with mackerel. Battera uses seaweed (kombu) under like a base, which makes for easier removal from the mold. The rice is generally topped with mackerel or other strong-tasting and oily fish. Because of the oily quality, the fish can stay fresh for several days, making battera sushi popular for quick dinners, since it can be stored then served. (In fact, it evolved in the more inland areas that had no access to fish). 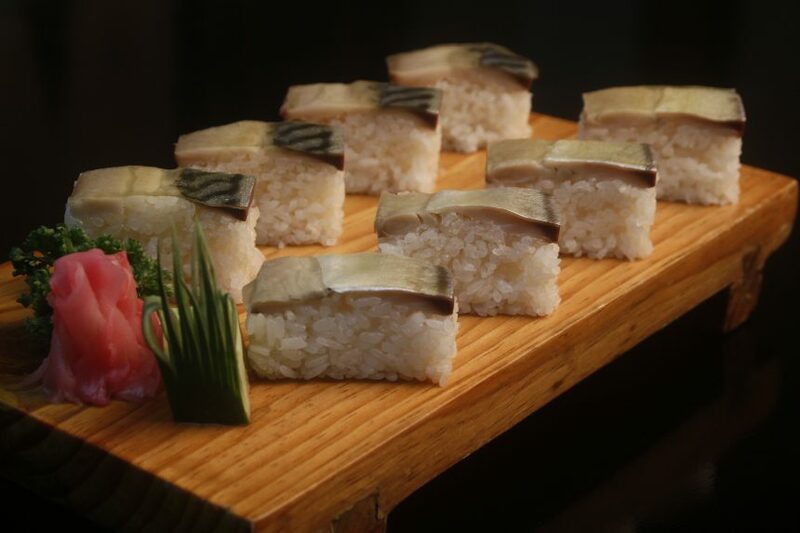 To make battera, the mackerel is allowed to stand for eight hours, marinated with salt and vinegar, placed on the rice and pressed.